GUCCI Bow jacket. Adorned with ruffles on the front and collar, this short jacket also features pearl buttons and a black silk bow. 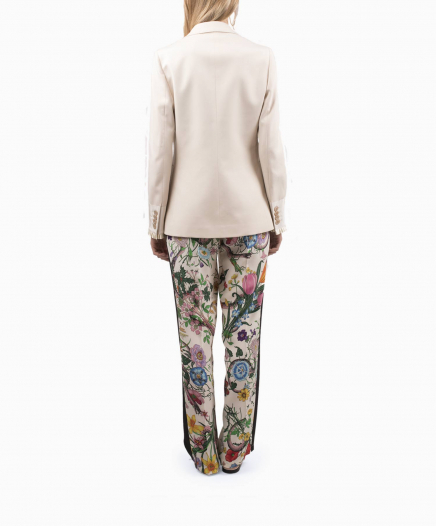 Its material in crepe of wool and silk gives an incomparable softness to this jacket. With its bright yellow colour, it is for rent to accompany any type of outfits, adding a retro touch. Size FR38 is also suitable for a size FR36. The model is 175 cm tall and is wearing a size FR38.